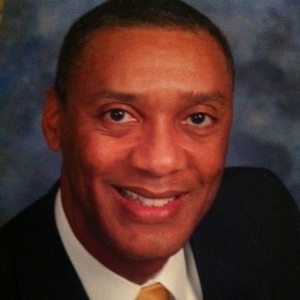 George E. Mabon is Vice President of Human Resources for the Memphis-Shelby County Airport Authority (MSCAA). The Airport Authority is the governing body behind Memphis International Airport, which ranked as the world’s #1 air cargo airport in the world for 18 consecutive years. FedEx, the Authority’s largest tenant, helps to make Memphis International the world’s busiest airport in the world after midnight. When George is not spending time at the airport, he is still honing his HR skills and upholding the profession as a longtime member of SHRM, and SHRMMemphis where he previously served as President. He received the TN State Council’s Professional Excellence Award in 2002, and is a current member of the SHRM-Memphis Executive Roundtable. George is also on the Steering Committee for ACI-NA (a global aviation organization) where he and several HR colleagues who are HR practitioners from various other airports in the US and Canada came together to form a coalition that is now an ACI-NA Committee. George is a graduate of the Leadership Memphis Executive Class of 2005 and served a 3-year term on the Board of Directors. He currently serves on the Board of Directors for the Memphis Child Advocacy Center (where he is also past-Chair) and on the Board for Victorian Village, Inc. His previous board work includes Playhouse on the Square, Memphis Film Forum, Friends For Life, Inc., the Alliance for the Blind and Visually Impaired, and served on St. Peter Catholic Church Parish Council and the St. Martin DePorres Shrine and Institute Advisory Board. George Mabon, we are so glad to have you with us today and I can’t really thank you enough for your time and for the attention you’ve given to hope. I know you enough, knowing you for quite a long time and it’s a privilege to have you. George, we ask everybody five questions, the same five questions each time we do an interview and if it’s okay, I’ll jump in into the first one. Question 1: What is your favorite definition of hope, one that you’ve come up with yourself or one that someone else has come up with that you say this really nails it for me, this is what I think about when I think about hope? When I think about hope, I immediately think about faith and I have a difficult time discerning the difference. So, I tend to use faith more than I do hope. In fact, I think when I think of hope, I think of it as being – not to be negative, but almost a childish thing, something that those who are not fully aware of what faith is would think of. Yes. That makes sense. So, hope is – you’re not the only one who redefines or tries to find the word for the word. I think that makes sense. So, hope is really faith to you. It’s your faith that is what you hope in. That’s what you’d call hope? Its faith in something. Right. Faith is stronger to me. It is more tangible than hope. Yes. Okay that makes sense. So, question number two, this will get more and more clearly defined as we go on because that’s a really great definition and I love putting the definition maybe the skeleton and I love putting the flesh and the meat on it. Question 2: Who, in your life if that’s how you’re thinking through the concept of hope, who in your life has been the best sharer of hope for you? Who’s really impacted you with that faith or the hope? I could list so many. There have been grandparents, parents, my siblings, mentors that I’ve had along the way in my career. Teachers, there are two or three teachers I can name from early on in my academic career that really taught me so much about hope or faith. There was a sixth grade teacher of mine who was probably, I guess had to be in his late 20s or early 30s and he had grown up with a family who had lots. They had a farm, they have a city house and he saw something in me and one other friend who, in the sixth grade, was in my class. Here’s this white teacher in an inner city black school who took an interest in these two, young black boys and every Saturday he would pick us up and we would go to a different museum or different restaurants. He just showed us a different world, a world that we probably would ordinarily have not seen. That went on for probably a full year or so until something that I thought was very tragic happened. My dad put an end to it because he thought, how unordinary for this teacher who is in his late 20s or early 30s taking this much interest in these two young boys? There was never anything inappropriate that happened. Never. Yes, but your dad thought, maybe… Yes. Yes. So, out of his fear that that all came to an end. As a dad, I guess I understand the fear, but I sure hate that it had to be placed there. Yes. Me too. Me too. But what a great way for a person to look into someone else life and say, I know how to add something extra here. Absolutely. I still, up to this day, look up to him. I don’t know where he is. I don’t know if he is even still alive, but I still look up to him. I look up to the memory of him. Question 3 – That person shared hope with you at a really critical time that made it really stick for you. When is a time in your life when you’ve really had to reach back to hope or faith and really hang on to something there to pull you through a tough situation? What happened there? How did it come apart? Well first, I have to share with you that my great grandmother, my father’s grandmother who lived until I was 13, there were many things that she said to me that I always remember. Words or scriptures or sayings that she said that had an impact on me. I still call on them even now and one of them is or was “sometimes all you have is faith”. Sometimes that’s all you’ve got, but you got to have it because that’s what will pull you through. I can’t tell you how many times in my life that has served me so well because I may not have been able to see the end of whatever it was I was going through or make out what was coming, but I at least had my faith that whatever it was, it was going to be okay or good or great. Sure. Looking at you now, you’re extremely successful, you have phenomenal relationships around the world, you’re known by a lot of people, you get to speak, you get to do all these things and it would be hard for somebody even like me who didn’t know you, to say, man that guy’s probably never really ha anything hard go against him anyway. He’s just – look at him, he’s perfect. What’s been one of those challenges that you’ve just had to overcome and really believed past to know, I’m not getting stuck here, there’s more. There has been several actually, Chris. Going way back, first I have to tell you that I grew up in a household that from the outside it must have appeared perfect onto friends and neighbors, but on the inside was far less than perfect. I had and still have a wonderful mother who is still to this day is very young at heart and spirit. She’s 81 years old and still travels and works and lives alone. She’s one of the most wonderful people you’d ever want to meet. She married my father at a very young age. My mother was a daughter to farmers and she was the youngest of 14, so she was sent to the city to go to city schools and ultimately met my dad who came from a well-educated and a family of means. She married well. After college, after my dad finished college he was drafted into the Korean War. While there, he was wounded by a hand grenade and was unable to walk for a while. I am sure, looking back, that that had some devastating effects on him and he should probably have gotten help for that, but he became very withdrawn as psychiatrists/psychologists in those days viewed as you’re crazy. That’s probably what he needed. So, he drank. He’s very smart, he never missed a day at work, very strong work ethic, but he drowned his troubles in alcohol and he became a different person. That other person that he would become was a very, very ugly person who did a lot of damage to my mother in particular and subsequently, to me and my three siblings as well. We’ve all dealt with it in our own ways, but the scars are there. There were many, many times when all I had was hope, all I had was faith that it would stop and things would be better. That’s where the teachers come in. I must have, at one point, been dealing with these things as best to seventh grader would know how. I was in art class and we were drawing a house across the street from our school or that’s what we should have been drawing. I just got lost in what I was doing and I drew something that was not what I was supposed to be drawing. I can best describe it as a picture of death. She goes into the office and anyway, I ended up – that was my introduction to counseling. She knew you needed help. She knew I needed help. Thank God she knew I needed help. That’s why I started seeing a school psychologist every week at school which in itself was not easy. The kids were wondering, where are you going? Who is this guy? But, it saved my life. So you were that dark at that age? I was that dark at my age. Just couldn’t handle the stress in your heart? There’s a boy about my age that share a room with me in the hospital there who stole money out of my pants. I was in a room with a kleptomaniac. That was real helpful, but I think that was probably the first time I really had to dig deep and I had to pull myself out of that. I knew that I was the only one who could really help me. I had to call on the strength that was deep inside and pull myself through and it was faith. Wow. That’s a big story. It is hard. I’m glad you said that because it is hard, I notice, when you are at the end you think and you so desperately need somebody to help and, you know, sometimes other people can help with some guidance or some treatment of some sort, whatever it may be or a hug. But sometimes, you have to make a really hard decision when you think you don’t have anything left to actually do something. Right. As a child, it’s hard to share because you think you’re the only one. You think nobody knows. I think that way as an adult still. Absolutely. That was my introduction to counseling and counseling has saved my life, really. It’s helped me through a lot. In later years, I had relationships in high school and I fell in love a couple of times, I married young. I met a girl in seventh grade, we’d became the best of friends, we got married our second year in college. I had been married at 20 and I have my daughter at 22. She is still, up to this day, my best friend, next to my daughter and mother. I hate to use the term ex-wife because she is, ‘till this day, one of my best friend in life. After 12 years, we’re divorced and it was because – she says it was because of counseling. You figured out some other stuff about you? My mother, when I told her we were getting a divorce, she said, well I want to ask you something. I was like, okay, figuring what was coming in. She said, no, I don’t want to be insulting. I was, mother, you can ask anything you want. That was the time, she says are you getting a divorce because you’re gay? Yes. That was a question I’d expected she’d ask. That’s a gutsy question from a mom. It was. I said well, that’s not the reason we’re getting divorced. I am gay, but that’s not why. It’s so much more than that. We married so young and we’ve grown into different people. Of course all my mother heard was “Yes, I’m gay”. And the rest of it was gone. Her answer to it was, why can’t you just stay married and do what you have to do on the side? Because that’s what she knew, that’s the life she’d lived. That’s what my dad did and that was the very last thing I wanted to do and the last person I wanted to be. I said to her, if there was anything you could say to convince me I’m doing the right thing, that was it. She was wide-eyed like, what did I say? She didn’t get it. You don’t want to do what dad did. No, I didn’t want to do what dad did. I didn’t want to live the life of the affairs and seeking and hiding an being angry when I came home. Before I got to the divorce part, there was a guy that was working with me, we became really good friends and he happened to be gay and every Monday we’d come to work and I was listening to his stories about the weekend and the time he was having. I was living precariously through him I think. I was on my way to see a customer, I was in my car and as I was driving, there was a group of guys who were like who were like landscape architects or whatever. They were working on a sidewalk nearby and as I pass them, one of them was I thought particularly attractive. I looked as I drove by and I looked at the rear view mirror and I caught a glimpse of myself looking. I wasn’t supposed to be doing that. I was married. I had a daughter. I freaked out. I didn’t go to my customers, I drove back to my office, I went into my office, I closed the door and I told them to just hold my calls, outgoing calls for the rest of the day. I probably cried for about three hours. Fortunately in the building that I worked, the suite next to ours was a psychologist. After my staff left, I went next door and made an appointment to see him and my whole life changed. Incredible. That was before the divorce? That was before the divorce. Yes. Wow. That’s a really amazing story. It sounds like your mom was very supportive. My mom has been hugely supportive, even my dad. Before he died, I thought it would be horrible about all of it, but he wasn’t. He was fine. Yes. He was good with it. He was okay. My older sister was in town visiting. We were at my mother’s, we were just having just a good old sibling talk and she’s wise and she’s 10 years older than I am. She said, “you know, we always figured you were gay. We wondered why you got married.” I thought, well why didn’t you tell me? Now, you tell me. The younger of my two sisters, she had trouble with it for a while and in fact our offices were close. At that time she was right down the street and so we had lunch together pretty frequently. She didn’t speak to me for six months. It was about her stuff. Her inability to accept it at that time and six month went by and my phone rang in the office one day and it was her and she was crying and she said I’m sorry and I love you and whoever you are and whatever. Everything’s fine. She’s been a huge supporter. My brother, he never leaves my presence or hangs up the phone without saying he loves me. I’ve got a wonderful family. My daughter is incredible. She found out when she was eight or nine. Okay. It’s got to be an interesting conversation. It was a very interesting conversation. Very, very interesting. She found out on father’s day. Her mom was engaged to be married and so it was one of her… Obviously it was father’s day and she was with me an we’re preparing to go to my sister’s for dinner and she was just very withdrawn that day and it’s not my daughter at all. I asked, what’s going on in your head? What are you thinking? Why are you so quiet? She said, I just don’t really want to talk. What don’t you want to talk about? She said, I don’t want to talk about mom getting married. A little bit of reverse psychology there. I said why? Are you not happy for her? She said yes I am. I’m just not happy for you. I said why? She said because mom has someone special in her life and you don’t. Well, my ex-wife and I decided we wouldn’t tell her until she was, you know, 16 or 18. She opened the door wide open right there. She opened the door wide open and I said, not thinking, yes I do. Thinking that that was enough and she goes, really? Well who? I was dating someone who was out of town and so that’s how that whole thing – because I wasn’t going to lie to her. Our co-parenting, we’ve never been dishonest. We’ve always been very straightforward with her. Even if it’s a hard conversation, honesty helps. Absolutely. She has lots of questions about it. It was a full couple hours of conversation and we were on our way to my sisters. The end of conversation, I won’t bore you with details, but she said, dad you’re not going to start wearing dresses, are you? Honey, no, I’m going to be the same dad I’ve been. I’m going to wear the same suits I wear to work. I’m going to listen to the same music that you don’t like. I’m just going to be the same old me. She said well, what do you think God thinks about it? As any catholic school girl would ask. I said, well I think he wants us to be the best that we can be. He wants us to be good and good to others. He wants us to give him time, some of our time and he wants us to help those who need help and you know, I think he loves me like I love him and I think he’s okay with it. I said, what do you think? She said, I think you’re the perfect dad. It was one of the sweetest moments of my life. I put it right up there with walking her down the aisle. Thank you. Those are good, good examples of real life that – we all have our different stories of real life, but it’s funny how much connection there is in stories even if the story is not your own story. it still has a high and low point and a beginning and an end. Absolutely. I had faith that it would work out, faith that she would still love me. Faith that her 8-year-old brain would take this in and digest it and come out with it okay and faith that my former wife would still love me like I still love her. Faith that my parents were still going to be as supportive and that my siblings would be okay. You have some amazing people around you. I do. Even to this day – I meet people every day, that’s what I do in my life, I’m an HR practitioner. I relate to people and I think I know that I’m living my God-given purpose on earth and that I to react with humans, to interact with humans. To sometimes be a guide for them to sometimes be an ear for them to sometimes be an example to them. Sometimes to teach. Amazing. You know George, that takes us into the next question. Question 4 – How are you sharing hope today? I think you’re already tiptoeing into that one. That could be professionally, personally, in the community, whatever you want to say. In so many ways, I think that’s really all I know how to do. I do it for a living, helping people find jobs, helping people find themselves, the right part of themselves that will fit with the right jobs. I help my company find the right balance and the right mix of people to do the job that need to be done. As I chair the board, you and I work very closely with the Child Advocacy Center and I’m working with people there and working on behalf of children. I served on the board for Friends for Life for 11 years helping people who are really at the end of their ropes, at the end of hope. Some with no hope and they have been discarded by family. Because of their illness. Because of HIV. Yes. Some of the homeless and that’s an agency that they’re a friend for life for those individuals and so that was very gratifying work as well. So, board work is giving back to the community, reaching back and helping to bring somebody else up. Those are both great organizations and George, your ability to deliver a long-term view of something better for those kids or for people who are struggling with HIV and trying to figure out life or death with that and having a friend in any place in the community who will stick with you no matter what your story becomes, that’s a hopeful friend because you always wonder if people will reject you when they find out the next thing. Right. I’ve had so many people share with me things that they did not share with anyone else and sometimes they’re a little shocking, but you just listen and you practice having no expression even those times when you are shocked and amazed. But, you know, I am humbled, honored by the sharing. Question 5 – How can we take an use hope today? As a listener, which I am, I am learning from you, this is amazing. What are the a, b, c, the 1,2,3 that I can do right now if I am really in a hopeless spot and I need to start taking some action towards a better end result here? Where do I start? What do I do next? Real practical, basic stuff. It’s really hard to give practical terms for what I feel you need to do. My first inclination is to say you have to believe that something different can happen. The outcome can be different. It can be what you make it. It will be better. It can be better. You can make it better. That’s what I call faith again. Just knowing that if you want it hard enough and you work for it hard enough and believe and trust hard enough, it can happen. Miracles happen every day. Every single day. You’re not the only one going through it, many have gone through it before and many will go after. Sometimes focusing on someone else problems, helping somebody else out in need, it makes your problems seem so much smaller. That’s a great step. I have to say two things there. One, if I’m getting this right, is believing that there can be a better outcome. Another day is around the corner and even if you were in a place like I have been in my past where there’s you don’t think you can survive literally, make it through another day and you want to make a choice to end it, there is another day. Just put everything aside and keep taking steps forward. Step two you mentioned was doing something for somebody else who’s in a hard time. I tell you, I love the way we’re wired. It’s really hard for humans to do two things at once and part of that is thinking about your problems and somebody else problems. You can really only do one of the two. Absolutely. I like to surprise people with niceness, with kindness whether it’s a show of affection or a smile or asking someone how they’re doing and really wanting to know. If you’ve got a little bit of extra money, leaving a bigger tip, putting it in their hands and not on the table. It’s the little things like that that make all the difference in someone’s life. Great point. That’s a great point. Leaving in someone’s hand versus the table. I’ve never thought about doing that with a tip. But, it’s human on human connection. We always ask this on the way out because it’s fun to play music when we get the chance to. Who is your favorite artist? Favorite music. If you got the funk in your head and you got to just get it out on your way home from work, what are you going to pop in the CD player? Gosh that is so difficult. I am very, very lyrical. I guess that’s the description. I love lyrics and so, it can be any kind of music. It’s about what the song says. I mean I love the beat of course, I love to dance, but it is about what the music is saying that really moves me. I love Barbara Streisand. I love Johnny Mathis, I love Lady Gaga. I love Lady Gaga and Tony Bennett together. They were on Tonight Show Week Nights. But it’s about the lyrics. Oleta Adams, are you familiar with her as an artist? She had a song that I was completely convinced at the time was written for me. It was the time that I knew that I was not going to be staying in my marriage and it’s called “You’ve Got to Give Me Room”. I encourage you to listen to that at times and think about it from my perspective. The lyrics are amazing. Almost every story you told today was human on human connection and how somebody face to face, how to change your life. A real door or one of life’s doors. Yes. Open the door. George Mabon, what a privilege to talk to you. Great sharing Chris, thank you for asking me. I’m sitting in my office right now finishing up the show notes for this conversation. George thank you for your time and for sharing so much hope. You’re a great communicator. If you are like me you could probably think of somebody right now who would benefit from this interview, please feel free to share it with him that’s the whole point of this project. You can find me on twitter and facebook @chriswilliamshq. Thanks for listening. look forward talking to you next time.